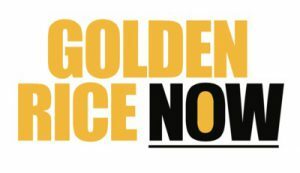 Cary Pinkowski appointed to Board – Allow Golden Rice Now! Vancouver-based businessman and philanthropist, Mr. Pinkowski is a strong proponent of allowing science to lead in decisions regarding natural resource development and the environment. He supports the use of genetic modification to improve the productivity and nutrition of food crops, and more particularly to end the human suffering caused by malnutrition. The Allow Golden Rice Society welcomes his energy in its campaign to bring Golden Rice into farmers’ fields and eventually to the tables of the millions of families who need it. Golden Rice is a humanitarian product developed using genetic modification to address vitamin A deficiency, the largest killer of children in the world. As many as two million people die each year from this condition, mainly because their staple food – rice – contains no vitamin A. Public-sector research trials brought Golden Rice to market readiness a decade ago, but strong ideological opposition by Greenpeace and other anti-genetic modification organizations have hindered its delivery through misrepresentation and vandalism. The Allow Golden Rice Society’s mission is to counter their influence through public education and direct action. 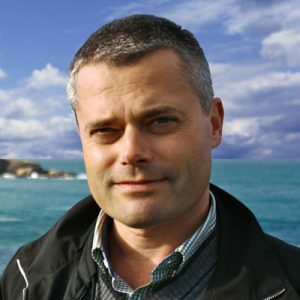 Mr. Pinkowski has over 20 years’ experience in finance and development in the natural resource industries. He has been successful working with legislative and administrative authorities in Europe and Asia. He founded Entr&#233e Gold Inc., and acquired the Lookout Hill property; one of the highest grade gold/copper deposits ever discovered. He is also the founder and Director of Astur Gold Corp., which acquired the Salave Gold Deposit in Spain. The Society is a British Columbia registered not-for-profit organization and was founded by Dr. Patrick Moore, his brother Michael Moore and their families.